Portocork PREMIUM Natural cork stoppers are intended for all wine aging periods. Available in a full range of grades/sizes from near visually flawless (for luxury wines meant to age for extended periods) to value priced for faster rotation wines. Each grade is available in our standard “NOVA” or “Natural” wash or by special order in our exclusive “ECO” Washing. Portocork PREMIUM stoppers represent the best application of the Portocork processing principles that, in addition to managing the whole supply chain from the forest to the finished product, make use of all the preventive and curative processes developed over the last several years. Inclusive of our patented R.O.S.A. 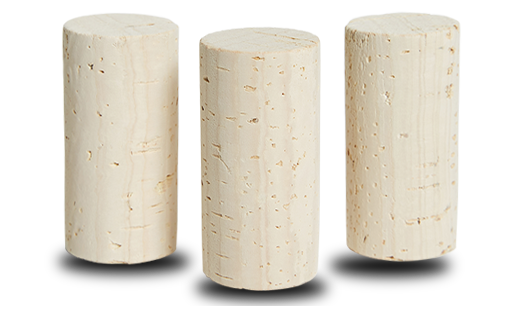 Evolution® system, the latest frontier in creating a stopper with unparalleled sensory quality which has been applied from the beginning of 2010 to all the production of natural cork stoppers.